The mind-blowing true story of Pablo Escobar and the Medellín Cartel beyond their portrayal on Netflix. 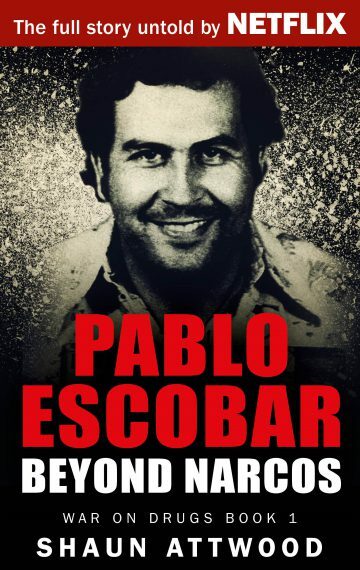 Pablo Escobar: Beyond Narcos demolishes the standard good versus evil telling of his story. The authorities were not hunting Pablo down to stop his cocaine business. They were taking over it. Shaun Attwood’s War on Drugs trilogy – Pablo Escobar, American Made, and We Are Being Lied To – is a series of harrowing, action-packed and interlinked true stories that demonstrate the catastrophic consequences of drug prohibition.